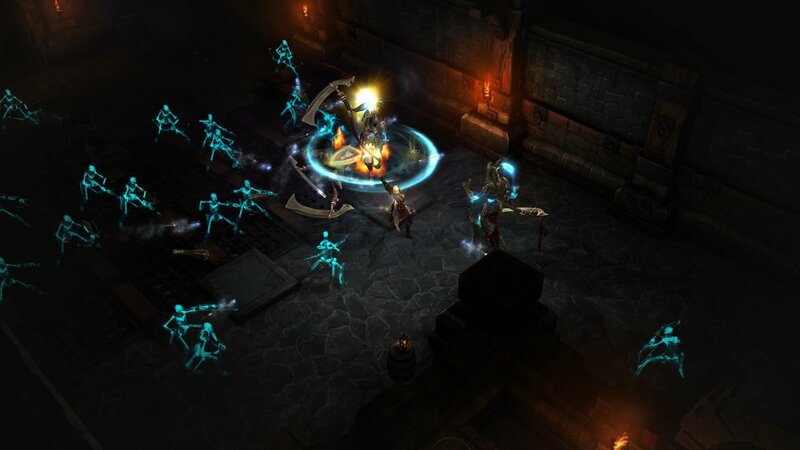 Diablo 3 was a game I greatly enjoyed, but it wasn't without its flaws. The Auction House was a failed experiment, the loot system seemed tuned entirely to fuel said auctions, artificial gating of difficulty modes was an anachronistic concept, and the storyline was met with much derision. With the Reaper of Souls expansion, Blizzard has fixed many of the problems the original game had, while adding new content, a host of new features that improve quality of life for players, and a structured endgame for those who can't stop clicking. First on the list of added features is the new Crusader class, a holy knight who wields enormous shields and flails. Crusaders are more of a tank archetype, with the ability to taunt monsters into attacking them, and a wealth of defensive abilities. While certainly enjoyable as any of the other classes, I've found they do particularly well in co-op, since they can keep enemies off of ranged classes that excel in damage. There's a bit of a question in the playerbase right now as to whether or not they actually fit the tanking role better than Monks, but that will probably sort itself out over time. 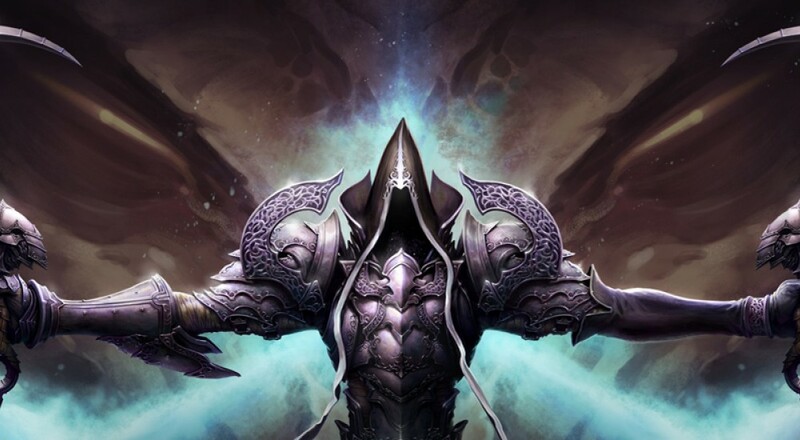 Reaper of Souls also adds an additional act to the core campaign. Act 5 takes place in the kingdom of Westmarch, and is primarily concerned with a fallen Angel named Malthael who has decided he would like to wipe out all of humanity (and demonkind along with it) to end the Eternal Conflict. It's still mostly overwrought nonsense, but the new zones are beautiful, the bosses challenging, and the world feels much more alive. And the music. My goodness, the music is just fantastic. While earlier acts in the game contained random events sparingly, they're all over the place in Act 5, and many of them tie into the overall story. If you are thorough and speak to all of your crafters and followers, you'll be rewarded with events that cap off their particular storylines. You also meet a new crafting NPC - Myriam the Mystic. Myriam is one of the keys to making your never-ending quest for loot a little easier. Get a sweet sword to drop, but one of its stats just isn't jiving with your character? Myriam will let you (attempt) to replace that stat with something more useful. You can only replace one stat per piece of gear, but you can keep trying to get the perfect stat roll for it until you're satisfied (or run out of crafting materials). She can also transmogify your gear to look like any other piece of normal gear. If you're lucky and start collecting legendary drops, you can pay a steeper fee and make your normal items look like any legendary piece you've encountered. Once a single character on your account clears Act 5, all of your characters get access to the biggest feature in Reaper of Souls: Adventure Mode. In Adventure Mode, the entire game is open for you to explore or take on Bounties. Bounties are quests to clear small dungeons, kill special named minibosses, cleanse cursed chests, or take on the game's major bosses. Adventure mode contains a significantly higher concentration of enemies, champion and elite packs. Once you complete a bounty, you'll receive a large amount of gold, experience, and a new type of currency called a Blood Shard. Blood Shards are exchanged with a new vendor in town for “mystery” items - which is similar to the old gambling system in Diablo 2 where you would purchase an item of indeterminate quality for a large amount of gold. Most of what you purchase will be of middling quality, but if you're gunning for a specific gear slot it's a good way to focus your efforts. Once you clear all of the bounties in an act, you'll receive a Horadric Cache that contains a number of crafting materials, items and even the odd piece of legendary gear. Page created in 0.3390 seconds.